Every year, over 2.35 million people are injured in a car accident. We understand that, especially in the immediate aftermath of a car wreck, it can be extremely difficult to remain calm enough to think about what you should do next. That’s why it’s so important to take the time to review what you should do in the event of an automobile accident now, before you’re in an unfortunate situation. If you don’t take these kinds of preventative steps, you’ll be at an increased risk for injury, less likely to collect the evidence and information you need at the scene of the crash, and you might not even be able to file a proper claim with your insurance. Read on, and feel better knowing that you’re prepared in the unfortunate event of an accident or lawsuit. The most important thing to do after a car accident? Make sure that you get off the road and/or out of the vehicle as soon as possible. If you can, pull over to the side of the road — even if conditions look safe now, you never know when another vehicle could come speeding along. The same is true for your car. Just because you don’t smell any gas or hear anything strange doesn’t mean your car isn’t at risk of bursting into flame. If you’ve sustained serious injuries, call an ambulance immediately. Ask them to take you to the hospital, or to a place like the Arrowhead Clinic, which specializes in examining and documenting injuries sustained after a car wreck. 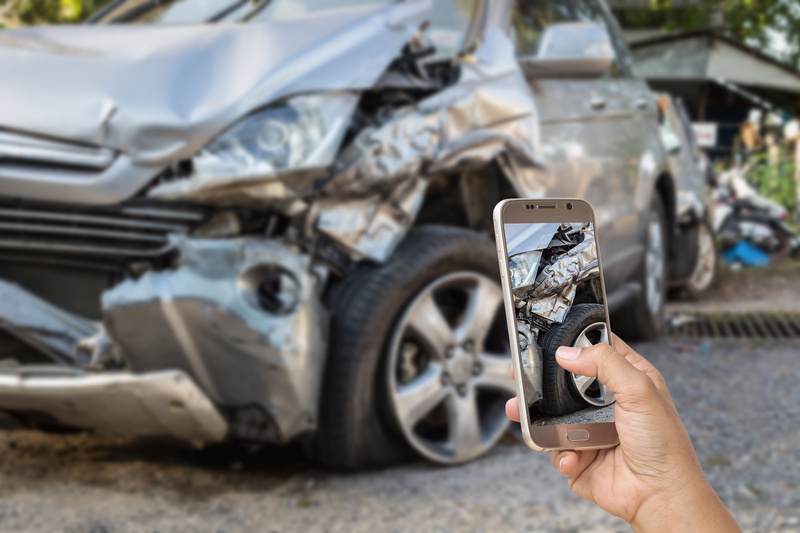 If you’re still mobile and safe after an accident, now is the time to start collecting your evidence. Do this as soon as you’ve established your own safety, as well as that of the others on the road or involved in the actual accident. Keep in mind that the other driver could flee the scene quickly, so be sure to snap photos of their license plates and make/model as soon as possible. Also, take photos of any injuries you’ve sustained, as well as the damage done to your car and to the road itself. These are the kinds of things that will make a huge difference down the line when it comes to proving the extent of damages and pain and suffering. Of course, another important step to take in the event of a car accident is making a phone call to the authorities. If you’re physically and mentally capable, you should attempt to make this phone call yourself, before anyone else involved in the accident has the chance to. Unfortunately, the blame game can start early, and others can attempt to throw you under the bus or rewrite history even in the transcript of a 911 call. Relay your story to the officers are clearly and completely as possible. When you speak with these officers, make sure that you also collect their badge numbers, their names, and the precinct in which they work. You’ll also need to collect witness statements of those who saw exactly what happened, and who can help to determine which party was truly at fault for the accident. When you speak with these witnesses, remember to ask if they would feel comfortable testifying for you in court, if needed. Be sure to collect all of their contact information, so you can reach them if the matter goes to trial. If your car has been seriously damaged or even totaled after a car accident? We know that you don’t want to have to cover those bills on your own, especially when the accident wasn’t even your fault. In order to get as much coverage as is possible, it’s important that you contact your car insurance company as soon as is possible after the accident. This way, you can be reimbursed as quickly as possible for any repairs that you’ve had to pay out of pocket for. Additionally, remember that the average person files some kind of a car insurance claim once every 17 years. This might not sound like a lot at first, but remember that this means your insurance company will likely get thousands of calls every day. To get as close to the front of the line as is possible, act quickly, and provide as much information and evidence as you can. We’d love to be able to tell you that every car accident settlement ends quickly, easily, and with every side satisfied. After an accident, the other driver may claim that they weren’t really at fault. They may use statements you made at the scene or even on social media against you. You may struggle to collect the witness statements you need, or you may even have a problem with your insurance company. In these situations, and especially if your case goes to trial, we’re sure you’ll want a lawyer on your side. Start researching car accident attorneys now, so that you can have one in mind if the need for one ever arises in the future. We know that the first few moments after a car accident can be incredibly emotional and confusing. Above all, if the worst comes, take a deep breath, and focus on remaining calm and going through the above motions. Sometimes, following a checklist like the one above can help you to think more clearly and to keep your wits about you. Interested in learning more about what you can expect out of an automobile accident settlement? Need recovery assistance or advice? Spend some time on our blog to learn more about how to protect yourself after an accident.